Mates helping mates. A pretty simple concept in theory but a cast of many with an overly supportive crowd brings even more energy, spirit and humility. The Corner Hotel on what may have been just an ordinary Saturday night for some, was anything but ordinary. It wasn’t too long ago that word spread about a special show to help out John Hedigan, on hiatus from Something for Kate while battling a cancer diagnosis. And so Something for John came about…not just with Something for Kate performing, but a host of others who have worked with and crossed paths with John in some way. Three acts were listed on the bill, plus that mysterious, elusive mention of guest appearances. Darren Middleton started, and as good as things were sounding solo, by the second song of the set already had a little help from some of these guests, including a sweet duet on Time’s on Your Side with Clare Bowditch, Paul Dempsey for Sunrise and many voices helping out on an old Powderfinger number for The Metre. 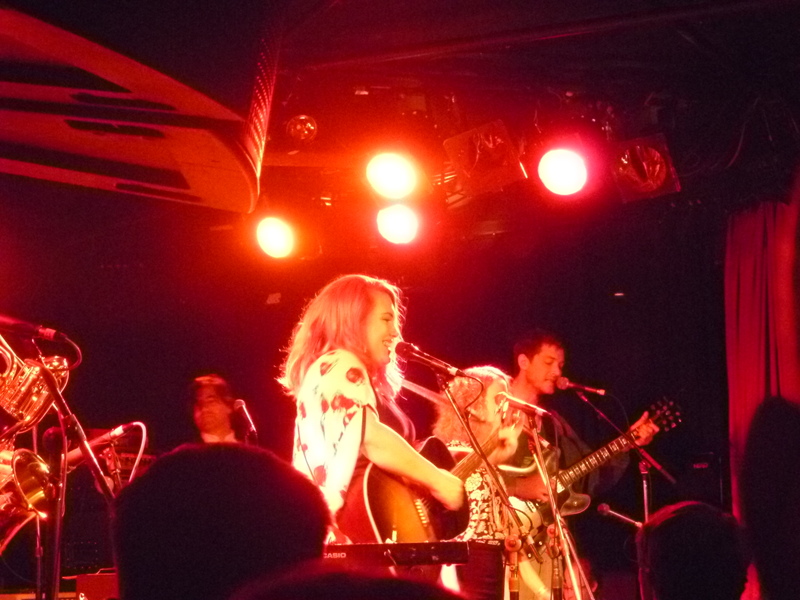 But then it was time for Clare Bowditch to be front and centre of stage for her own set. There was no more fitting start to the set than the story of her meeting with John Hedigan in starting out as a musician, but the impressive combination of various bands that have played with Clare over the years (The Feeding Set, The New Slang and the Royal Jelly Dixieland Band) to form a supergroup of sorts for tunes of old and new. And then, of course it was time for Something for Kate in its current all-male line up, complete with an appearance from John not just for a few gracious words of thanks but also joining the band for Survival Expert. Alexander Gow from Oh Mercy made an appearance to indulge in a little Waterboys cover for The Whole of the Moon. 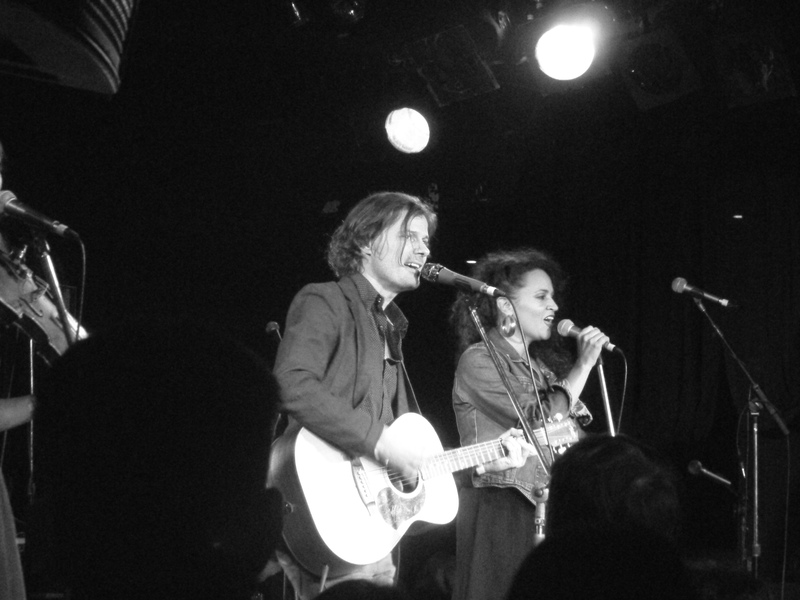 Clare and Paul indulged the crowd in the self-proclaimed ‘best duet ever’ courtesy of Joe Cocker’s Up Where We Belong which was reminiscent of a little karaoke with good friends and Adalita sharing a Kate Bush classic with Running Up That Hill (A Deal with God). They weren’t joking about the special guests coming along for the ride. But the duet of the night had to go to Tim Rogers from You Am I and Paul Dempsey belting out a little Uptown Funk a la Mark Ronson style. Who would have thought?! It was pure gold, both for the rarity and the entertainment value. And to think this was all happening again the next night. Certainly a little restoration in faith and humanity for something good.